The first model of the new BMW four-valve Boxer generation: the R 1100 RS. Like barely another motorcycle in the world, the R 1100 RS combined sports tourer features, tradition and the latest technology in one. One of the main features was the innovative front-wheel BMW Telelever suspension. A special feature was also the ergonomics package, permitting the rider to customize the motorcycle to his personal requirements: the fairing windscreen and the steering wheel were variable; the split seat was height-adjustable for the driver. The R 1150 RS was the successor to the R 1100 RS. The sports tourer had become even more dynamic, comfortable and agile, and BMW Motorrad Integral ABS in its partly integral version was available as an option. From 2003 the R 1150 RS featured dual ignition. This enduro combined the virtues of the GS models with the technology of the new flat-twin Boxer generation. However, it was designed less for high performance than for more tractive power. The R 1100 GS was the enduro with the highest capacity and torque. The success story of the GS models continued – almost 20 years after the launch of the R 80 G/S, the R 1100 GS was succeeded by the R 1150 GS. Not only the engine had been reworked, but also the gearbox, running gear and front section. From 2003 the R 1150 GS featured dual ignition. The Travel Enduro segment acquired a new member of the family: the R 1150 GS Adventure, a globetrotter’s bike created for motorcyclists who dream of exploring even the more remote spots on Earth. With its exclusive options and accessories package, this model satisfied even higher off-road and long-distance riding demands. 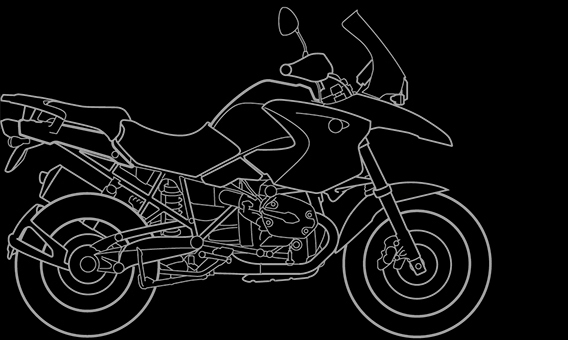 The BMW R 1200 GS made dreams come true, creating the ideal long-distance enduro with superior riding qualities, outstanding power and performance, supreme refinement even on the longest tours, excellent handling and superior agility for maximum riding pleasure on winding country and mountain roads. Added to this was its extremely low weight of 225 kg, combined with excellent suspension and running gear qualities to make tough riding on the roughest terrain a genuine pleasure.The R 1200 GS offered an unparalleled synthesis of off-road and on-road qualities. With the former model, the extremely successful R 1150 GS that set the benchmark in its segment for years, the R 1200 GS now raised the bar to an even higher level, once again exceeding the excellent qualities of its predecessor on all important counts. 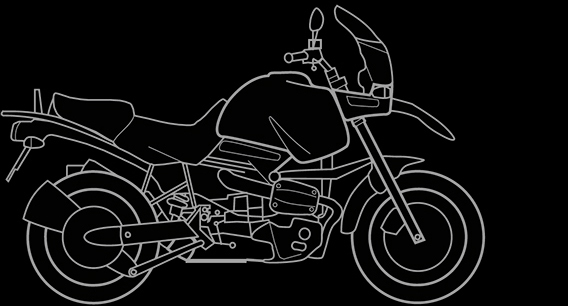 The Roadster models stand for the classic “naked” bike, i.e. 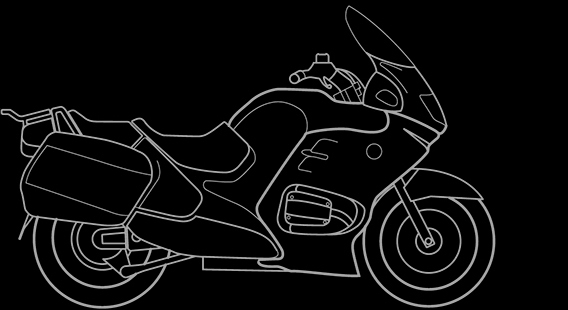 one without fairing. They might be described as the road version of the R 1100 GS enduro. 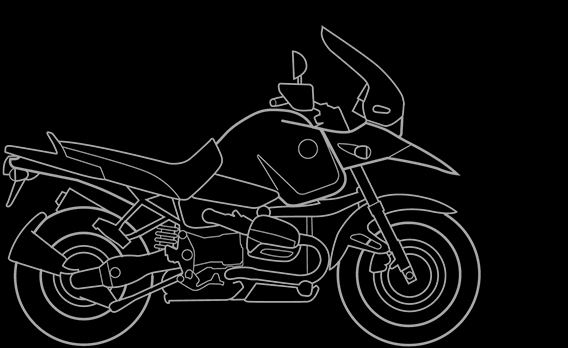 The successor of the R 1100 R with a conspicuous new design in which the oil cooler was integrated in the side tank panelling. The Roadster model had a more powerful engine, a six-speed gearbox and the EVO front brake. It was also optionally available with the partially integral version of BMW Integral ABS. 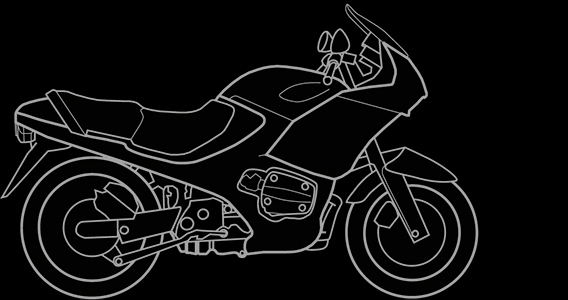 From 2003 the R 1150 R featured dual ignition. The R 850 R – the R 1150 R’s smaller sister. Technically it was similar to the R 1150 R, but had an 850 cc engine developing 52 kW (70 hp). A 25 kW (34 hp) version was also available. A special version of the R 850 R was introduced for the 2004 model year, taking over in part the design of the 2002 model year R 850 R. Introducing this special model, BMW was responding to keen customer demand, particularly in the Italian market. The engine and gearbox came from the 2004 model year R 850 R, the oil cooler and oil cooler pipes were from the previous version in the 2002 model year. The fuel tank and seat also came from this model. 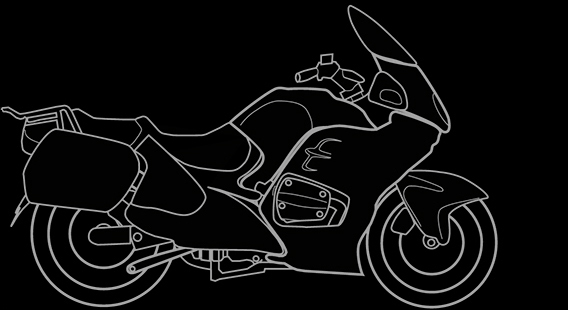 With its distinctly forceful, sporty design, this bike was mainly meant to appeal to the younger, more extroverted rider. As the R 1150 R’s sporting sister, it rounded off the BMW Motorrad model range in the naked bike segment. The driveline and suspension were adapted from the standard BMW Boxer Series modular concept. The R 1150 R Rockster Edition 80, a special-edition model based on the Rockster, marked BMW Motorrad’s 80th anniversary. It had a special paint finish and was produced in a limited edition of 2,003 units. 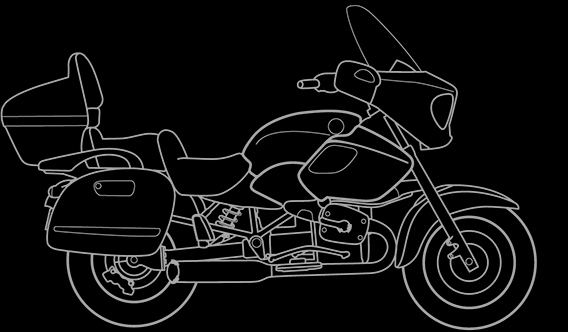 The R 1100 RT, the tourer model of the new BMW Boxer generation, continued BMW’s long standing tourer tradition. The first volume production model, with its full fairing designed in the wind tunnel, was the R 100 RT launched in 1978. It redefined the tourer concept. The R 1100 RT was fitted with a power windscreen, a switchable hot-air vent for the handlebar grips and a height-adjustable seat. The wide range of standard equipment included a luggage rack, touring cases and ABS. The successor to the R 1100 RT had greater engine capacity, more power and torque, a new face with a new headlight and modified fairing, as well as the fully integral version of BMW Motorrad Integral ABS. From 2003 the R 1150 RT featured dual ignition. With the launch of the R 1200 C, BMW entered the cruiser segment for the first time, which by the 90s had grown into the largest market worldwide with a share of more than 30 per cent. 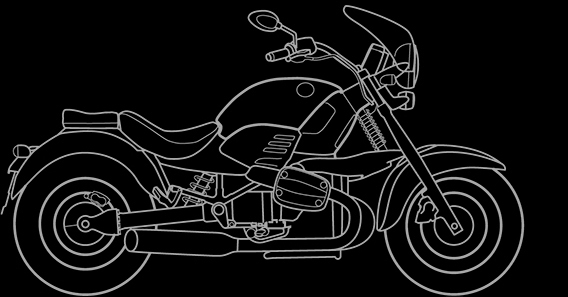 Not only the Boxer engine, but also the design of the R 1200 C made this an absolutely unique cruiser with its own distinctive looks. The Cruiser range was expanded in 1999. An 850 version was added to the lower end of the range. Further additions were the R 1200 C Avantgarde and the R 850 C Avantgarde. Graphitan, a new color developed by BMW, was used to replace chrome on many parts and to give the Cruiser a slightly avant-garde exterior. 2000 saw the launch of the R 1200 C Independent. With its aluminum wheels, lashings of chrome, single seat, speedster windscreen and extravagant two-color paintwork, this model was designed to satisfy the senses and make the heart of every Cruiser rider beat faster. The launch of this luxury Cruiser for pleasure tours was scheduled for the summer. 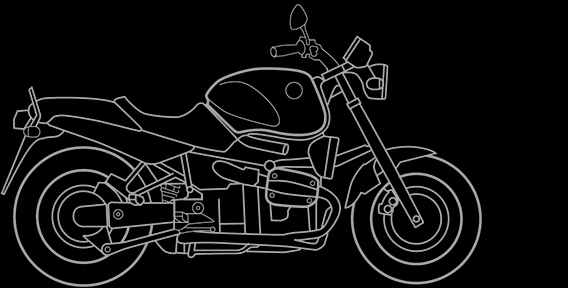 The basic concept was to translate elements from touring motorcycles into Cruiser form and thus develop a bike combining the properties of both types – an independent model with the equipment and luxury to fulfill the rider’s every wish. 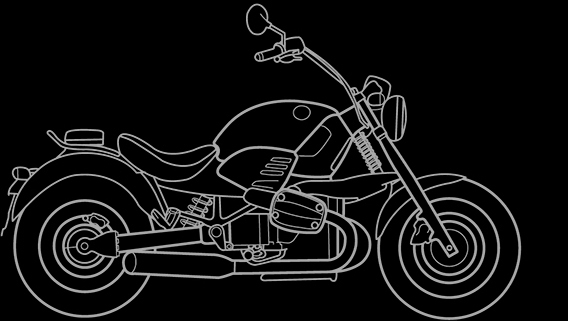 In autumn 2003 the R 1200 C Montauk, a purist cruiser in classic design featuring innovative technology and supreme riding qualities, entered the market as yet another unique, completely different model. The R 1200 C Montauk rounded off the range between the R 1200 CL luxury cruiser and the “basic” cruisers. 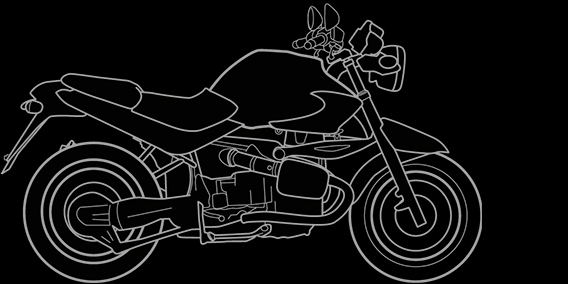 This was a naked bike fitted solely with a windshield but conveying a very masculine look and impression. It was characterized in particular by the front end with dual headlights in vertical arrangement and the extra-wide Telelever carried over from the R 1200 CL. The sportiest Boxer in the BMW motorcycle range, the R 1100 S boasted the most powerful Boxer engine to date. 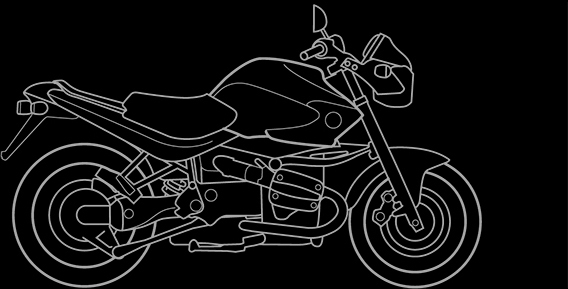 The sporty character of the motorcycle was underlined by its six-speed gearbox. 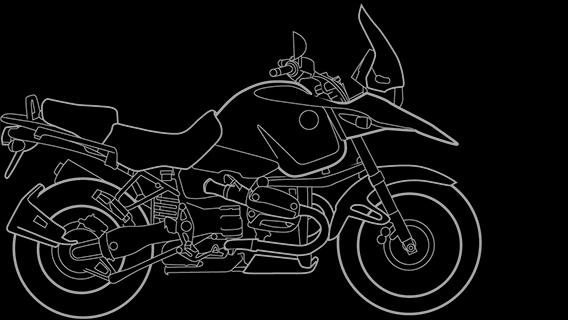 From spring 2001, the R 1100 S was also available with the partially integral version of BMW Integral ABS. On the race track the R 1100 S racing machines in the international BMW Motorrad BoxerCup made the hearts of two-cylinder fans skip a beat. And from the end of 2002 a special road going version of this racing machine was also available – the R 1100 S Boxer Cup Replica. Indeed, this special motorcycle immediately became so popular among sporting-minded Boxer aficionados that the total production volume was virtually sold out by late summer of 2003. And so the decision was taken to rebuild the Replica for the 2004 season. The main features of this highly sporting and dynamic Boxer were the three-tone paintwork in completely new design also seen on the 2004 racing machines, dual ignition, and an even greater resemblance in technical terms to the motorcycles that were raced on the track.